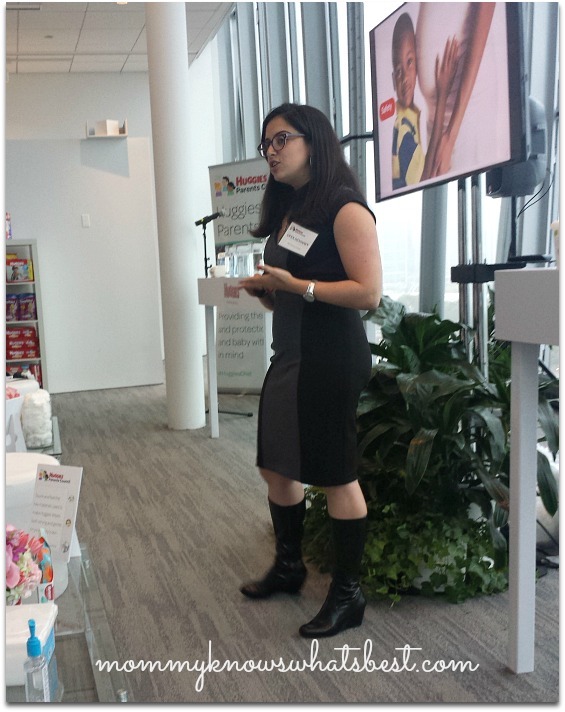 On October 5th 2015 I attended the first ever Huggies Parents’ Council in Chicago. For me, that meant traveling during my 26th week of pregnancy to a city I have never been in before. Why in the world would I do that? 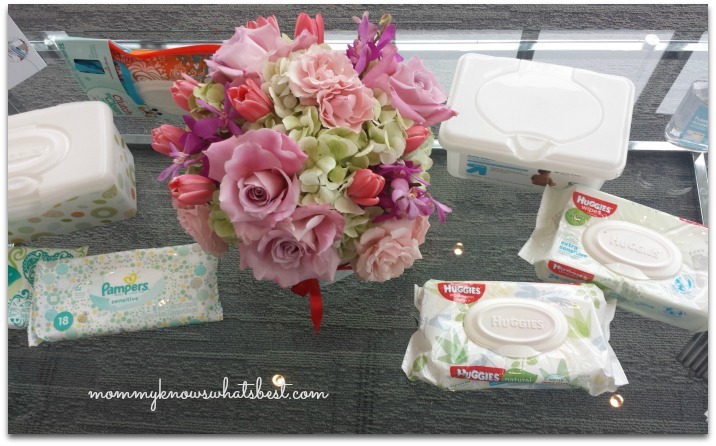 I was invited by Huggies since I was a blogger and shared with you about the recent news coverage Huggies wipes received. Like I told my husband, if I wasn’t already a loyal Huggies customer myself, I probably would have reconsidered this trip, but I wanted to hear what they had to say and share it all with you. After all, as a parent first and foremost, the safety of the baby products I use is important to me, just as I am sure it is very important to you. Huggies knew about these videos before perhaps you and I ever did. According to the team, their special task force of community monitors and social media monitors had seen the video on Facebook and made it a point to contact the woman right away to find out if there was a need to recall. In fact, they sent a Kimberly-Clark team member to the woman’s house within three days to collect the sample of wipes themselves so it could be transported safely to an independent lab, McCrone, for testing. Also, the FDA got involved, sending a team to investigate and inspect the manufacturing plant in Maumelle, Arkansas from where these wipes originated. Why was all of this done? Why did they bring a group of us together to see and hear for ourselves everything that goes into Huggies diapers and wipes? …and they wanted to make things right. 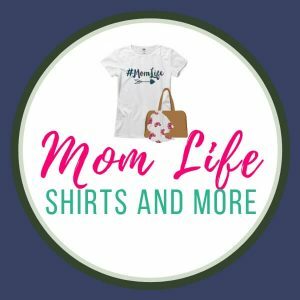 Since they couldn’t invite every parent in the US to the Parents’ Council, they invited a group of bloggers and social media influencers so that we could be your representatives and share with you what we learned. Bottom line? Huggies wants full transparency with you, their consumer. They held nothing back from us and answered all of our questions, some of which came right from our readers. It is the policy of Kimberly-Clark to provide products and services that recognize a sincere and proper regard for public safety. We are equally committed to producing and selling products that are safe and fulfill customer expectations. Every baby product made by Huggies goes through an iterative process being tested over and over again to make sure that every material is safe and effective for all babies, kids, and adults. Even after Huggies tests and retests their products, they are sent out to independent labs for further testing, including cell cultures, repeat insult patch tests and ocular tests (meaning that they are tested on volunteers’ skin and eyes to see if there is any reaction). After all of the testing and retesting and independent testing, they have a final product that they hope is “innovative and exceeds expectations of the consumers”. The final product, before mass produced, is put through even more tests to ensure quality, including bench testing (how strong and safe the products are), mannequin testing (diapers are placed on movable mannequin babies to see how they work during movement and for the genders), actual clinical research (a room full of real babies using the products in real life), and parent observations in homes to see how parents really use the products so that the company can make improvements. 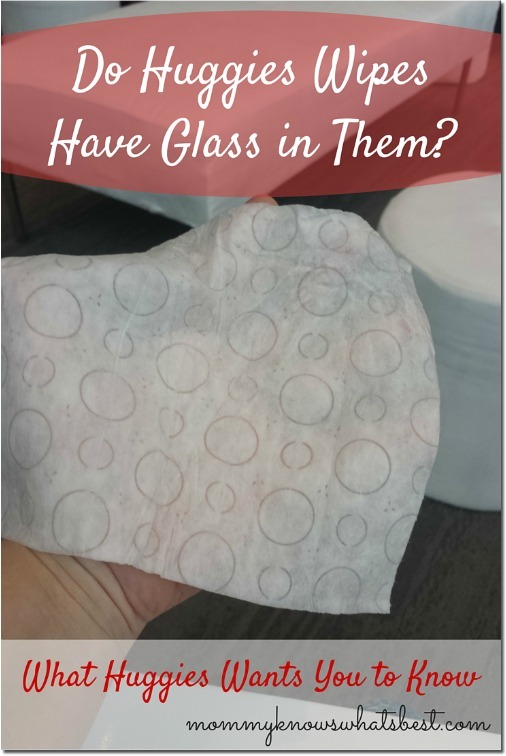 There is no glass in the manufacturing process of wipes or diapers. Within the manufacturing plants, machines are made with stainless steel that is cleaned and decontaminated every single day. Huggies goes “through all testing so no parent has to worry” so that they can be “better than what’s expected of [them]”. I personally saw and held the actual Huggies wipes that were sent back after the viral video (no glass!). I saw and held actual wipes samples from unopened packages. I wiped up goopy messes with a variety of wipes, and tore apart diapers to see what’s inside. This is one of the wipes from the actual pack of wipes sent back to Huggies after the video. Guess what? I did find a bump in the wipes that were sent back. I also found bumps in other wipes from unopened packages (yeah, I was one of those people who was a pain about it too!). So what are the bumps? Bumps in wipes are an overlap of the fibers used to make wipes (see below for more details on that). That’s it! I pulled apart those bumps and found nothing but fibers. There is nothing else there! Another major question that came about was concerning the ‘shimmer’ effect on the wipes from the video. What is the shimmer caused by? Want to guess? It’s not glass or fiberglass! It’s just a result of the materials used in the wipes, both the fibers and the liquid components that shimmer sometimes if you hold them up to light. I found some on wipes, as did others in the group. Bottom line: if the shimmer is there today, it was there 25 years ago as well (more on the fibers and liquid components below). So why do we notice it more today? I think we all pretty much agreed that it’s because of social media, and also how much more aware parents are of what they use on their babies’ skin, just as they should be. We were shown different packaging techniques of different brands of wipes. 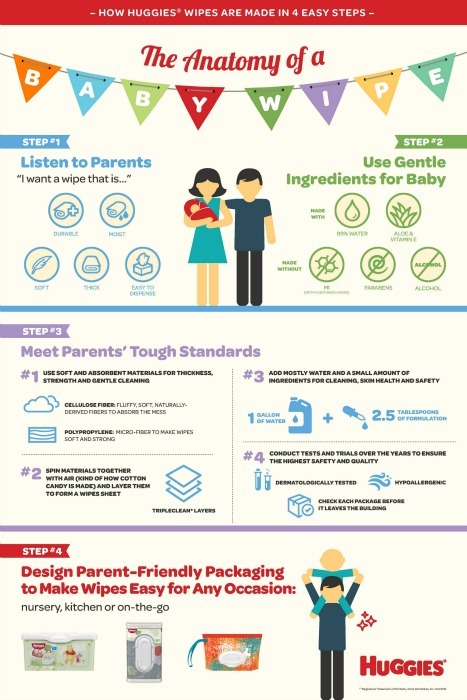 How are Huggies Wipes Made? What is the safest ingredient for a baby’s skin? The answer of course: water. Huggies wipes are made of 99% water. Isn’t that comforting to know? In fact, they said that they want their wipes to be just like water on baby’s skin. In order for the wipes to be the most effective, however, there are other ingredients involved, which make up the remaining 1% of the ingredients in Huggies wipes. But aren’t they chemicals? Well, sure, just as atoms are chemicals. To quote: “Chemicals are always present. It all depends on what chemicals at what concentration and what they do to the body”. Note: Ever concerned about chemicals in anything? Go to the website for the Cosmetic Ingredient Review Board and search for any chemical. Trust me: you want the Triple Clean Layers. 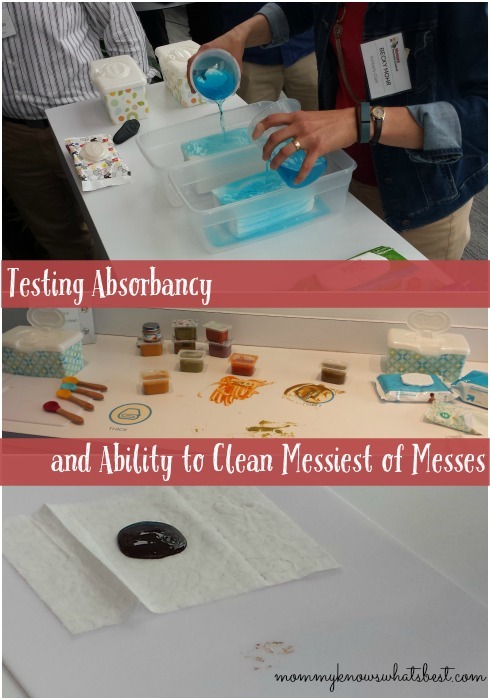 When cleaning the messiest of messes from a baby’s diaper, do you want a wipe that is going to let those messes seep through? Nope, nope, nope. After the wet ingredients are added to the base sheet, the wipes are perforated, folded, and stacked. The stacks are then placed in a variety of packaging containers, including their patented tub with the inner silicone lip (to keep moisture in and to help get a consistent wipe every time), and their new Clutch ‘n’ Clean package of wipes for parents on the go. And again, before it is shipped out to stores, everything is inspected to make sure it is all of absolute quality and is safe for the consumer. So there you have it. That is basically how Huggies wipes are made, and what they are made of. Knowing all this, would it change your mind about the kind of wipes you buy? Why would you make the switch to Huggies? What more do you want to know about Huggies wipes? And just so you know: I did ask them about renaming the One & Done wipes since you know there are some messes that totally need more than one wipe…. 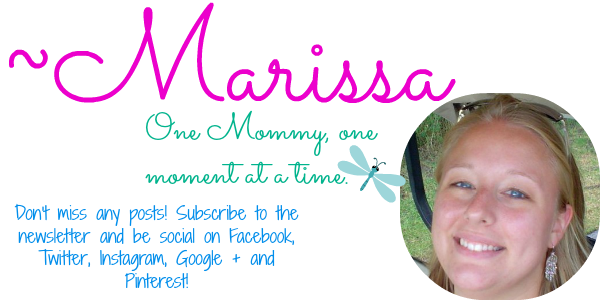 I did also get answers about their diapers, and will share that with you soon, as well as tips about rashes from Dr. Sears! 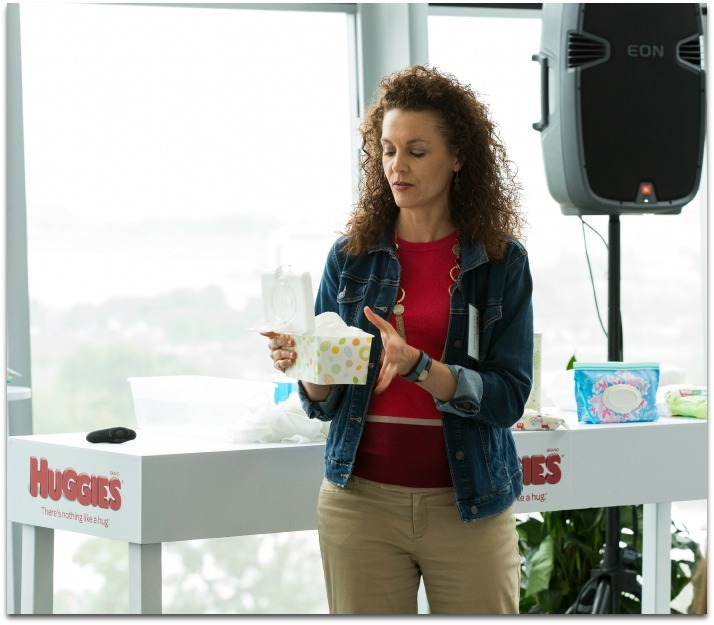 Disclosure: I was invited to attend the Huggies Parents’ Council by Huggies. My expenses were covered so that I could attend. All words and opinions are mine. Wow! I can’t believe they sent someone to the house to collect the wipes!! 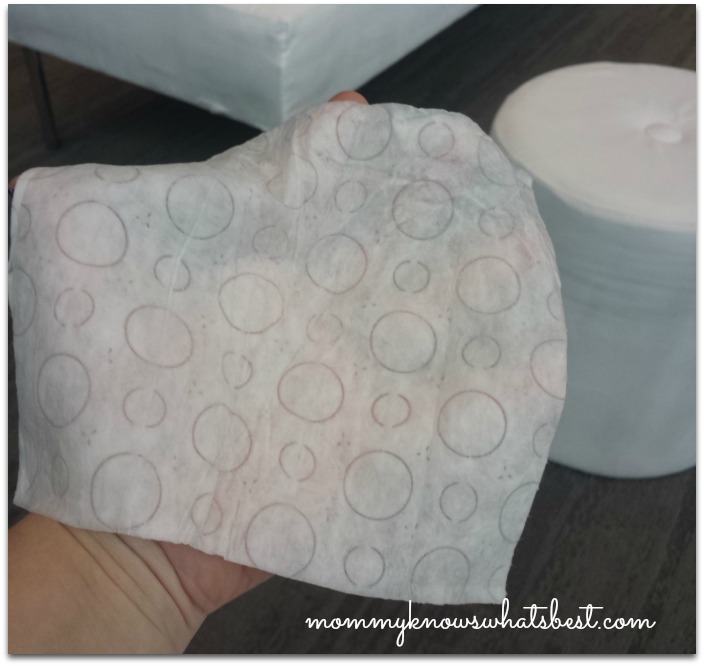 I use cloth wipes (aka wash cloths) but did use disposable products with my first son. It’s nice to know they take this so seriously!